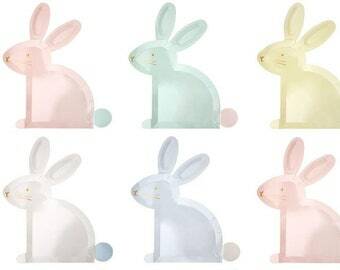 Bunny Cake Toppers - Set of 12 Beautiful Bunny-Shaped Acrylic Cake Toppers in 3 Colors (by Meri Meri) - Perfect for an Easter Party! Whether you're throwing a full-blown party or just fancy making an ordinary day a little better, there's never a bad time for cake… However, there can often be a bad time for spending hours on incredibly intricate icing! 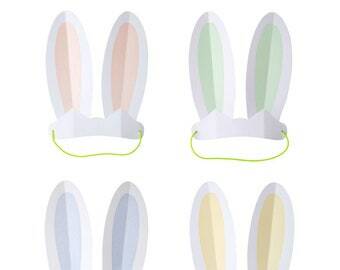 That's why we've come up with these adorable cake toppers. Ideal for Easter, but really cute at other times of the year too, these acrylic toppers are guaranteed to save you tons of time and energy, and look fantastic to boot! 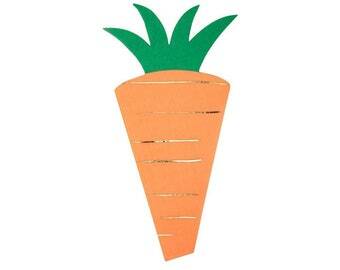 Looking for other styles of heart party supplies? 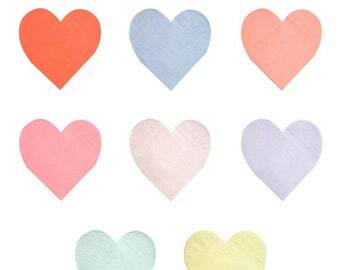 Heart Cake Toppers - Set of 12 Beautiful Heart-Shaped Acrylic Cake Toppers in 4 Colors (by Meri Meri) - Perfect for a Valentine's Day Party! Clearance! Beatrix Potter Peter Rabbit Easter Garland- 6 flag pennants, 7 flower pennants & green and white twine- Great for Easter parties! Very cute, can’t wait to use them. Arrived soon after purchasing! Spring Cookie Cutters - Includes 5 Meri Meri Easter Cookie Cutters in Bunny, Flower, Chick, Egg & Rainbow Shapes- Great for Easter Parties! Rainbow Heart Small Napkins - Set of 20 Die-Cute Heart Shaped Napkins in a Rainbow Assortment (by Meri Meri) - Great for Valentine's Day! Bunny Paper Cups- Set of 12 Meri Meri Hot or Cold Paper Cups and 12 Bunny Sleeves - Perfect Easter Brunch or a Bunny-Themed Party! 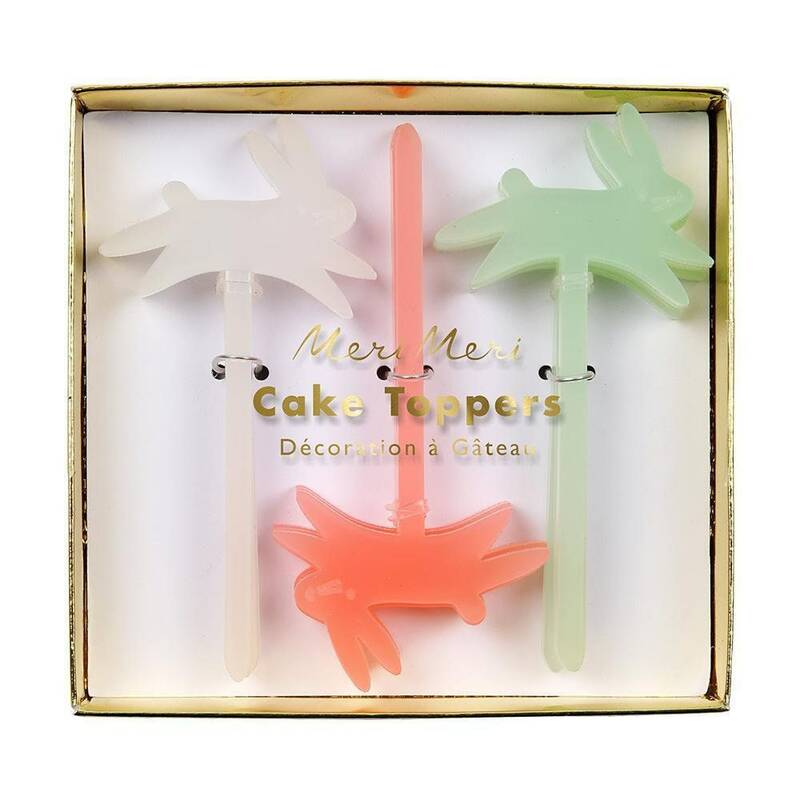 Fruit Party Picks - Set of 24 Meri Meri Fruit Party Picks with pineapple, melon, lemon and apple toppers- Great for a summer party! 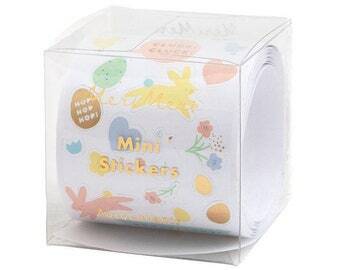 Easter Mini Sticker Roll - Pack of 500 Adorable Mini Easter Stickers in 25 Designs (by Meri Meri) - Great Easter Basket Filler! Shooting Star Rainbow Cake Topper- Perfect Cake Topper for a Star-Themed or Rainbow-Themed Birthday Party- Meri Meri Cake Topper!